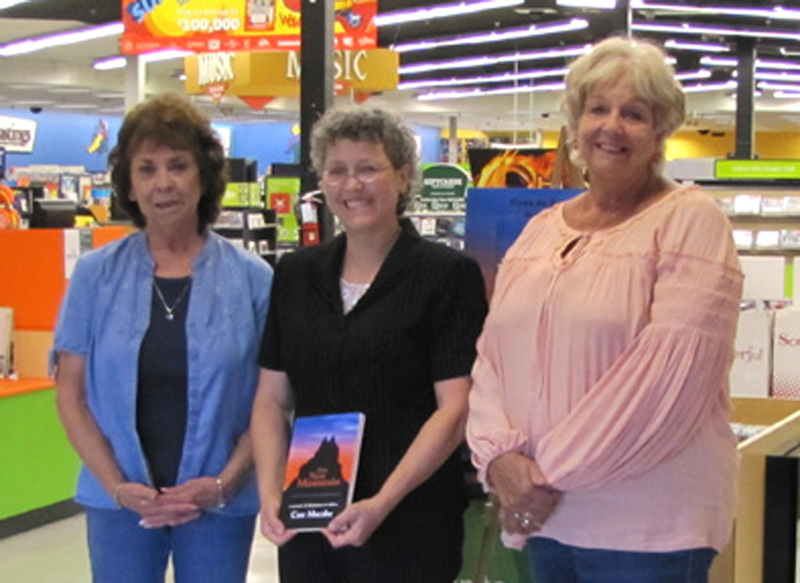 We had our first book signing for This New Mountain on Friday, August 24th. It was great to have so many friends and family come by to support us. Some well-wishers bought books for themselves or as gifts for others, some came to have their previously purchased books signed, while others just dropped by to say hi and chat. Thank you to all who came and cheered us on – you helped the hours fly by and chased away our nervousness with your friendly faces. In case anyone missed this book signing, we’re scheduled for another one on Friday, September 28th from 5:00-8:00 pm at the Hastings on Juan Tabo (southeast corner of Lomas and Juan Tabo). Hope to see you there next month. This entry was posted in News and tagged book signing, Casa de Snapdragon, This New Mountain by Cate Macabe. Bookmark the permalink.